CLAYground offer a spoil of clay activities. View the Portage Ceramic Awards, then join potters Jack Tilson and Chris Berthelsen to learn about local clay and sustainable practices. You can also take a turn making something with clay, which will be taken away and fired for you for free. Titirangi Potters Public Raku firing. Come along and glaze a piece of work in metallic raku glazes. 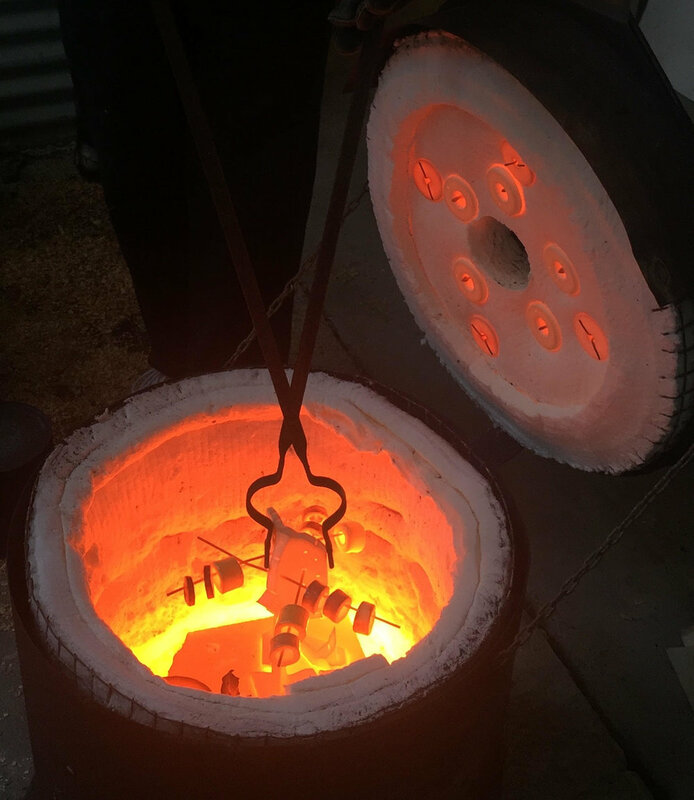 Watch your piece being fired in the fire (raku) kilns, and take your creation home. Buy bisqueware from $5 to $10. It is quite dramatic to see your own pot come out smoking - so don't miss this opportunity! Kids are welcome (great Christmas presents for nanas etc). While you’re waiting for your work to be fired, peruse work from Titirangi Potters in the Titirangi Community House (same location). Join Caroline Masters and Gus Simonovic for a fun and accessible workshop focusing on poetry and performance. It will be playful, challenging and a little bit different! All ages - all you need is your imagination. Pens and paper provided. Lopdell Precinct will be hosting a special screening of the ‘Girl with a Pearl Earring and other treasures from The Mauritshuis’ in the theatre, Lopdell House on Saturday the 17th of November. The Girl with a Pearl Earring' by Johannes Vermeer is one of the most enduring paintings in the history of art. This beautifully filmed documentary goes in pursuit of answers to the unresolved riddles surrounding this extraordinary piece. Squiggla is a creative-based learning application, developed by the Chartwell Trust to promote creativity through the exploration of mark making. In this free Squiggla drop-in event, open to all ages, we will test out a new Squiggla challenge inspired by the architectural lines of Te Uru. Using bamboo tools, we will etch out lines, dots and squiggles from a cold wax surface that relate to the architectural lines of the building. This sgraffito technique will highlight positive and negative spaces, and the composition will be completed using layers of oil pastels finished with a dye wash.
For decades her love affair with art was secret, she painted while her family slept. In 2015, her first exhibition The Secret Life of Doris Baertschi, was an overwhelming success. 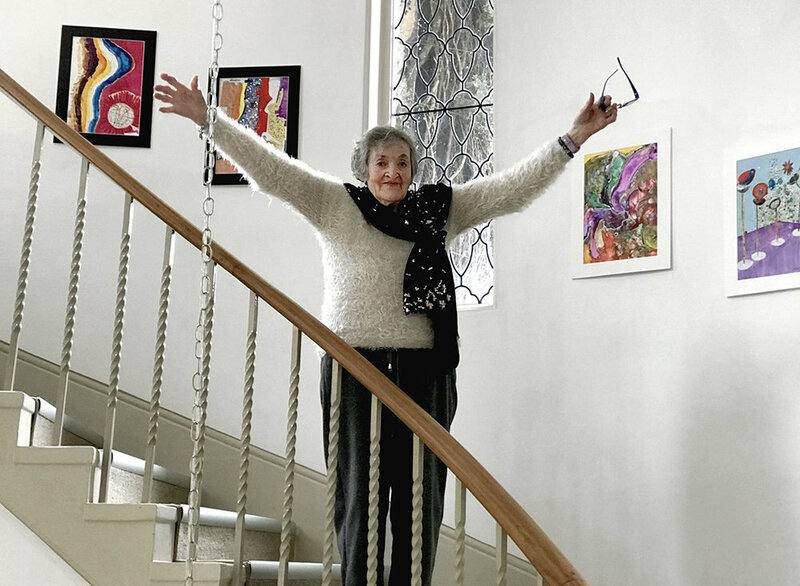 Now, 88 year old Doris admits that art is the love of her life – she paints prolifically and obsessively, her vibrant modernist works tell stories, heal pains and illustrate dreams. Saturday Nov 17 - Sunday Nov 18, 10am - 4pm. 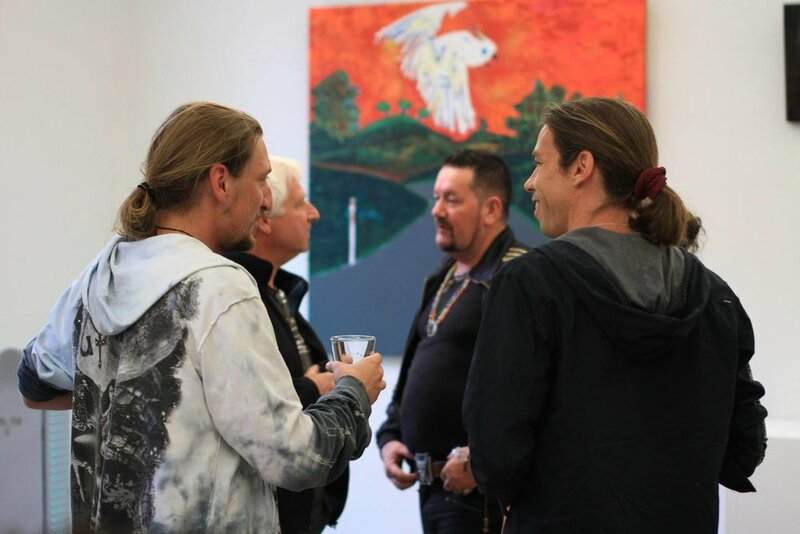 Begin your Open Studios Waitakere weekend by visiting the speical preview exhibition which features artwork from participating artists. Open from Tuesday 13th November – Sun 18th November, 10am – 4pm.